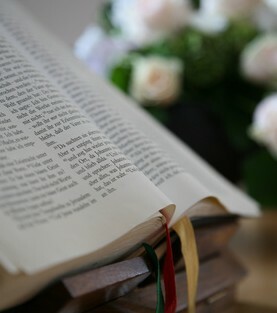 Lectors or Readers serve as ministers of the Word of God. Readers proclaim the readings from Sacred Scripture, with the exception of the Gospel. A reader may also announce the intentions for the Prayer of the Faithful and, if not sung, proclaim the Psalm between the readings. Readers prayerfully prepare for this ministry by reading the assigned scriptural passages before arriving at Mass, seeking to understand the meaning and importance of the readings to be shared aloud with the parish community. Readers are scheduled to serve at Masses convenient to their schedule, usually at least once per month. Training is available for those interested in participating as Lectors/ Readers. Please contact the office. Altar Servers – Boys & Girls from 3rd grade upwards who assist the Pastor during masses. Training is done periodically by Deacon Maurice Ouellette.